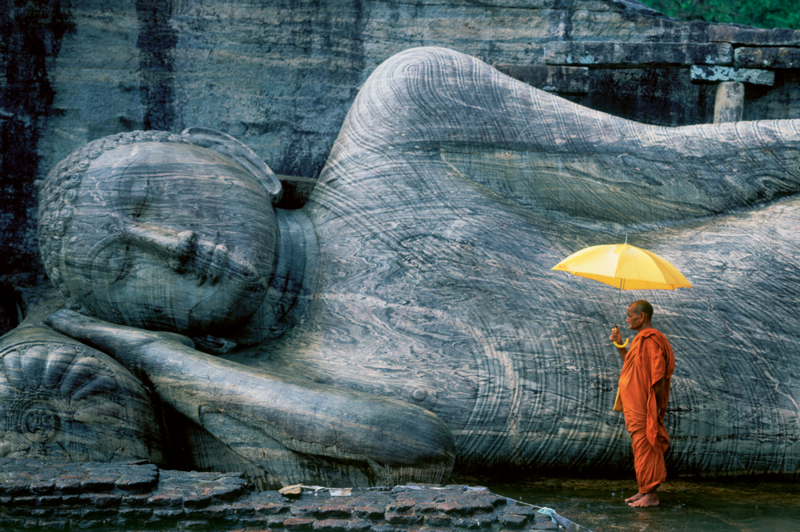 The launch of our Asia and the Far East Collection includes some exciting new destinations across Asia, with brand new hand-crafted itineraries to Japan, China, India and Sri Lanka. Our guests are at the heart of everything we do, from the design of our unique and innovative ships in Southeast Asia, to our hand-crafted itineraries in China and Japan. Each one of our Journey Designers is an expert in the destinations we visit, encouraging you to transform your adventure into something truly exceptional. Discover famous landmarks and hidden gems, some of which access is exclusive to Scenic. ur 5-star ships in Southeast Asia have been specially commissioned to set the precedent for comfort and luxury on the Mekong and Irrawaddy, supported by our award-winning excursions and once-in-a-lifetime experiences which truly immerse you in the culture of the region. 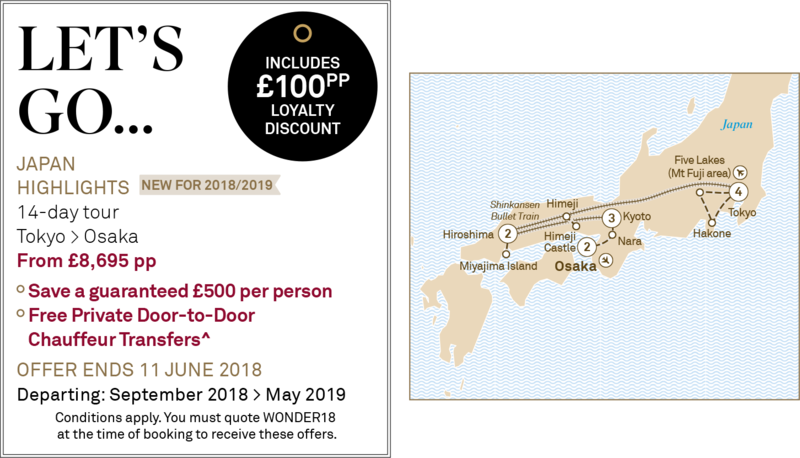 Enjoy a heady mix of the exotic and the contemporary in the Far East, during flexible Scenic Freechoice excursions to the Great Wall of China and Kyoto's Fushimi Inari Shrine, featured in Memoirs of a Geisha. Let the magic of India sweep you off your feet during an exclusive Scenic Enrich champagne walking tour in Jodhpur, and become acquainted with Sri Lanka's wild side during heritage walks, specially created for Scenic. Dynamic cities with blossoming skylines, beautiful temples and imposing volcanic peaks, Japan offers all the wonders of the new, while retaining the mystery of the old. Explore the bright lights of Fukuoka, Osaka and Tokyo, and travel on bullet trains that are the envy of the world. Encounter authentic Geishas and Maikos, learn the technique for making traditional Japanese sushi from an expert local chef and partake in an origami donation at Hiroshima’s Peace Park, as we provide exclusive experiences that will leave unforgettable memories. From Tibetan antiquities to Chinese towns that still whisper of dynasties past, there is so much here to discover. Marvel at the sight of Xian’s mighty army of Terracotta Warriors in the company of a museum curator, survey the vistas of the Great Wall of China, and enjoy a close encounter with rare giant panda cubs at a local research centre in Chengdu. Experience world-class cuisine, from dumpling dinners to specially organised hot pot lunches, Peking duck to dim sum, you’ll find the food every bit as adventurous as our itineraries. From the bustling capital of New Delhi to spiritual Varanasi with its ancient funeral ghats beside the sacred Ganges River, and the grandeur of the Raj palaces, North India is a land of incredible contrast that will leave you spellbound. Enjoy a rickshaw ride down to the banks of the river, participate in a champagne walking tour of Mehrangarh Fort in Jodhpur, and visit Ranthambore National Park, keeping watch for the famous Bengal tigers during exciting games drives. Hidden treasures, a passion for life and spell-binding diversity makes this country a must-see destination. Known as the ‘Pearl of the Indian Ocean’, Sri Lanka is blessed with stunning coastlines, rolling green countryside and tea plantations stretching as far as the eye can see. 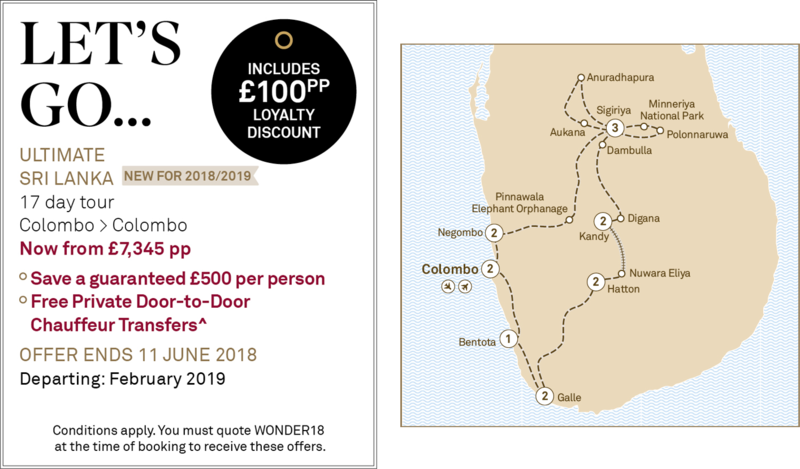 Embark on specially created heritage walks in Colombo and Negombo, handcrafted for Scenic by Mark Forbes, and experience historical properties, from homes of former merchants to tea plantation owners. Stilted bungalows and historical cottages have been restored to reflect their former glory, enabling you to experience a side of Sri Lanka often ignored. And, all with an intimate group size of only 16 guests. Terms and Conditions: £100pp Loyalty Discount is applicable to Scenic loyalty members only and has been included in the per person from price.